Directions to Certosa Motta Grossa. Video showing front gate entrance. Need to be quick between 17 and 18th second frame of video. Certosa Motta Grossa - Riva di Pinerolo located on the outskirts of Pinerolo, Italy. 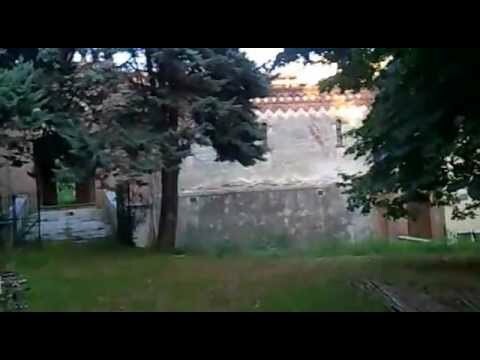 Urbex pro's call it Monastery MG.
A video with the Certosa Motta name in Pinerolo is here with the entrance shown at the 1:16 mark. No street views are close enough since this entrance is down a long dirt street under trees.